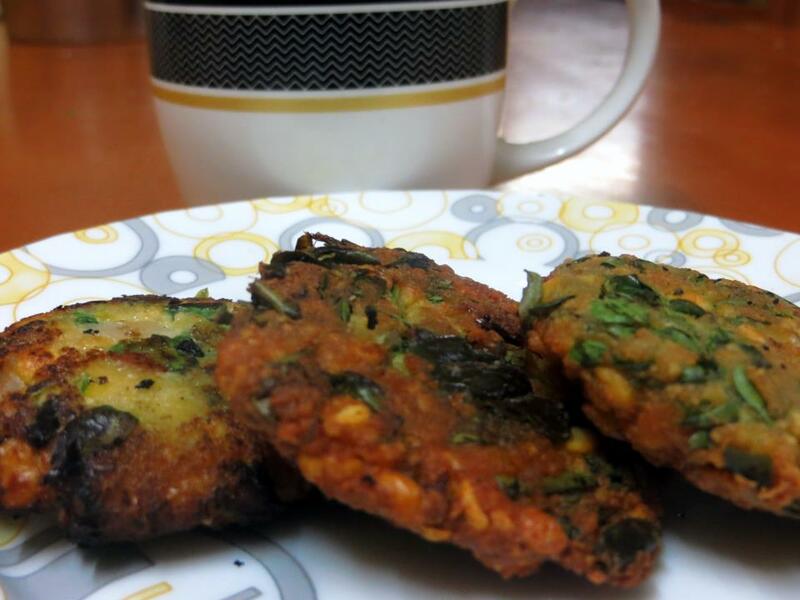 Here is another tea time snack recipe..to go with your favourite cuppa.. crunchy spinach vadas with yummy flavours and a sip of hot tea...wow heaven..
Soak the tuvar dal and channa dal for about an hour. Stir fry the spinach leaves in a pan with some salt. Now blend coarsely - the soaked dals, saunf, red chillies, curry leaves, hing and salt. Add the sauteed spinach leaves to the above. Make vadas out of the batter and deep fry. Fry till the vadas turn deep golden brown to make them really crispy. Take care not to burn them. Serve with steaming coffee or tea!! Great! Thanks Priya and Sangeetha!